Japanese obi come in a variety of styles but the most common are maru and fukuro. 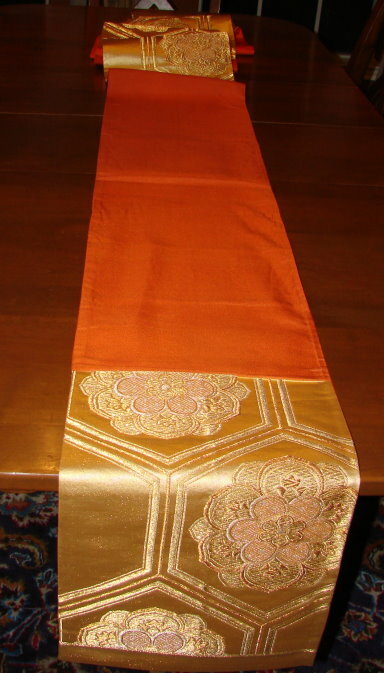 A maru obi is the most traditional type and has pattern on both sides from end to end. 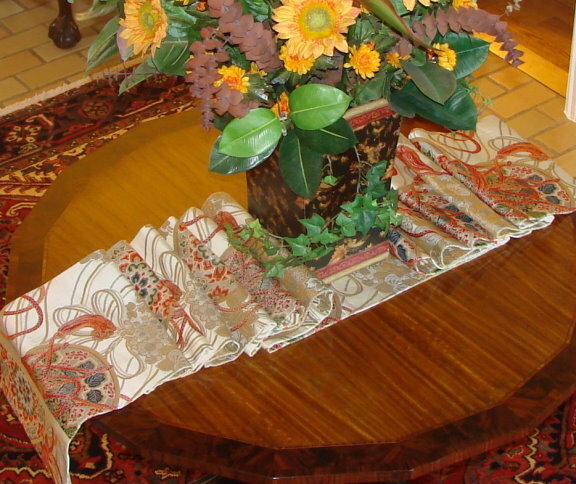 To use on a rectangular or oval table, find the center of the table and the center of the obi. Match the centers and let the obi extend off the ends of the table. Place your decorations (floral centerpiece, candle sticks, etc.) where you want them on the table on top of the centered obi. Then, pull the trailing obi sections into pleats arranged to suit your style. A fukuro obi has design only on one side and usually has a section with no design toward one end. Fukuro obi designs tend to be more bold and the colors more vivid. 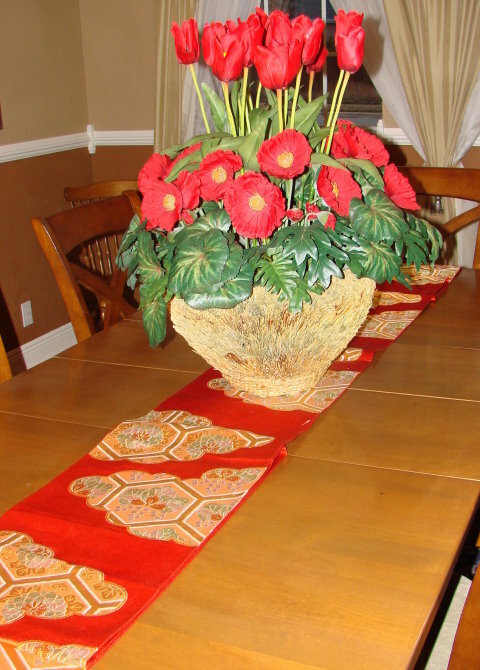 Fukuro obis can be easily folded to enhance your table decor. Position the end of the obi (next to the blank section) to fall over the table edge. 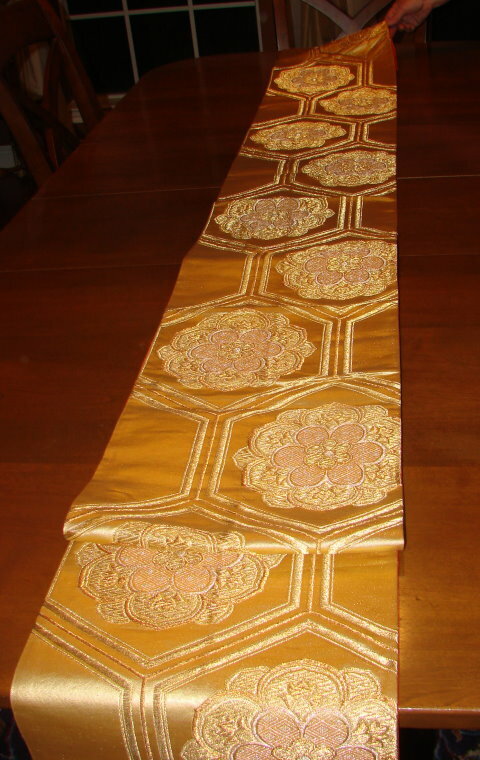 Lay the rest of the obi down the center of the table with the blank section exposed. 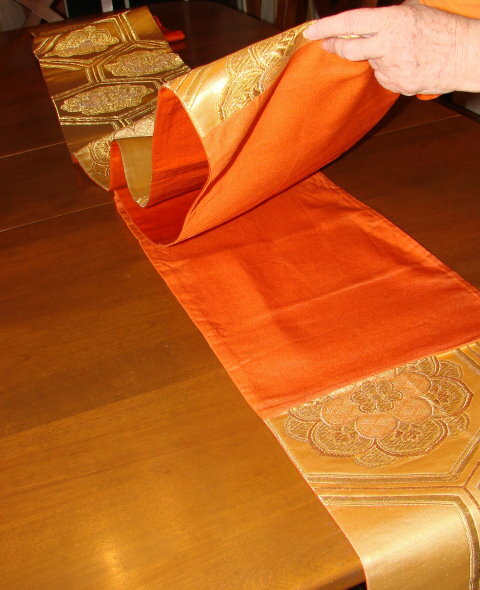 Then fold the obi where the blank section connects to the patterned part and double it back toward the end of the table. 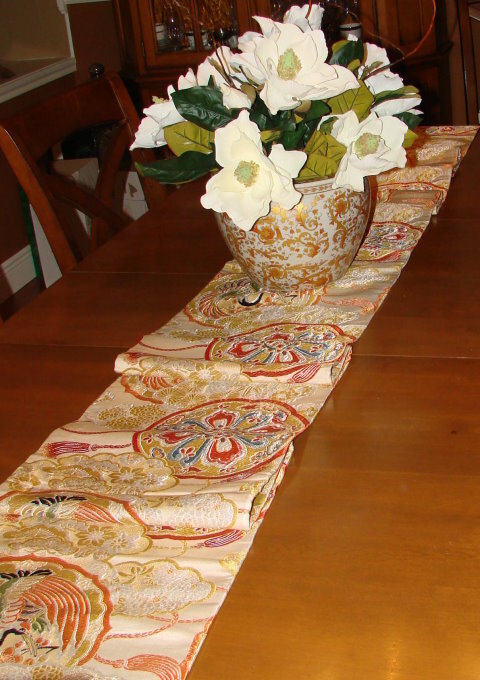 Adjust the fold to cover all of the blank section and create a matching fold at the other end and adjust for your table length. Any pleat pattern you choose will work beautifully. 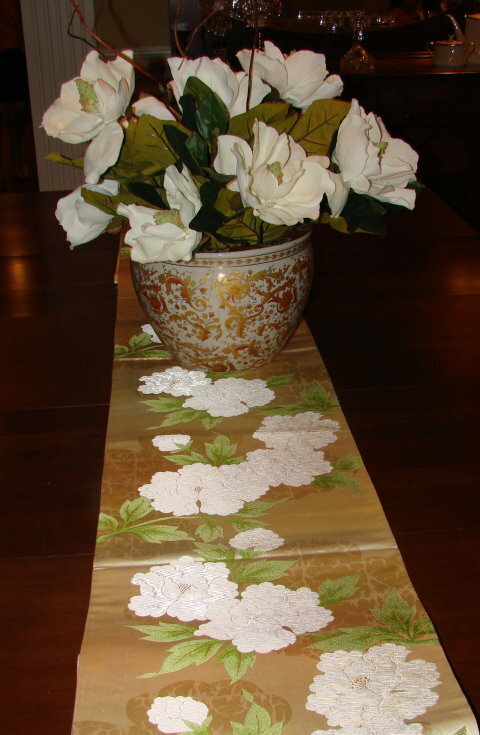 Because the design extends to both sides of a Maru obi, they are quite simple to use as a table runner. Position the center of the obi at the center point of the table. 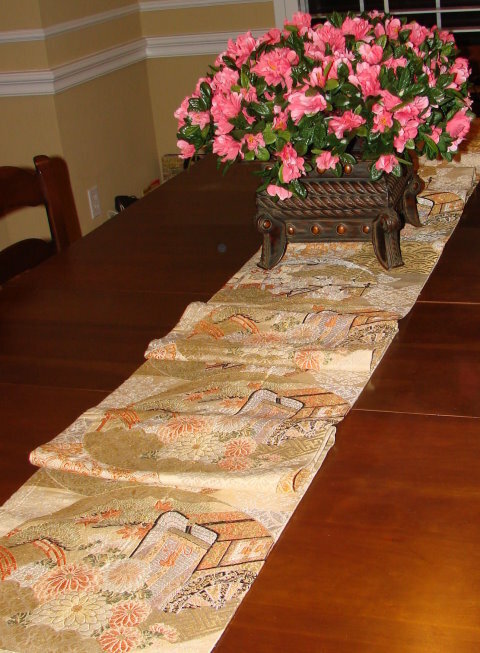 Place the center piece for your table on the center point of the obi to keep the obi from moving while you perform step 3. Make one or two folds on each side of the center point to adjust the amount of the obi that you want to extend over the end of your table. © Copyright The CMC Collection. All rights reserved.